A Gun safe is the best place to keep your firearm. It not only prevents gun access to children but as well protects the gun from burglaries. If you own a gun, it is a requirement to have a gun safe for storage. Several gun safes perform additional tasks such as securing your gun from being spoiled by water or fire. Others can as well be used to keep valuable items too. In the USA, many states have passed the law that requires you to lock up your gun even in the absence of kids at home. So, what is the best gun safe for the money? One of the biggest advantages of possessing a gun safe is that some insurance companies will give you discount on your firearm. Since there are various guns safe in the market, acquiring the best can be a daunting practice. That’s why we’ve compiled top rated gun safes for you, after a through research. 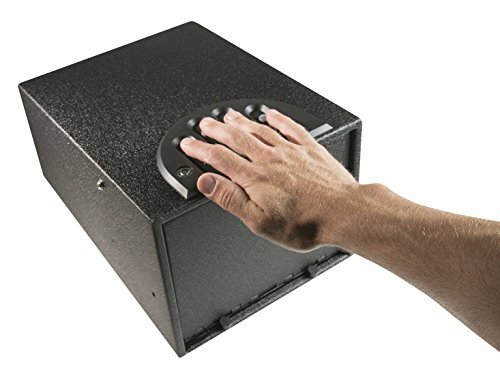 1.6 Gun safe locks with key or Electronic lock gun safe? Before we take a quick view into the best gun safe on the market, there are some vital points that you should consider evaluating in the safe you want to obtain. There is no need for you to purchase a safe that you will regret having or wasting your cash on. These features that we’ve highlighted for you should be strictly analyzed and make sure the safe suits your demands. Size – when it comes to size, buying a safe that is too big for your gun or guns is ideal. This allows you to keep other valuables and guns, in case you buy more of them in future. Different brands of gun safes measures their dimensions differently, which is either by interior, exterior or even in cubic meters. So, a bigger safe is good and better for you than purchasing a small safe that properly not fit your gun. Fire rating – though not very important in places without or with less fire cases, but the fire rating of a gun safe should be high. A safe keeps many valuables like photos, important documents, money and other delicate items. These items are very sensitive to heat and thus acquiring a safe that is fireproof can ensure that they are still safe when there is a fire outbreak. Most of the safes are created to keep the internal temperature below 350 degrees. Security and safety rating – various people look at different security ratings depending on what they want to store in the gun safe besides the gun. Products or items kept alongside the gun are; money, valuable documents, and other high value items. The most recommended ratings are BF and TL. Be very keen as some companies indicate to have a particular rating, but in real sense they lack it. Water resistant – A great safe should be able to withstand different challenging conditions such as water. Most manufacturers create gun safes that are water resistant so that your valuables are not interfered with at all, in case of floods or heavy rain or just water getting in. 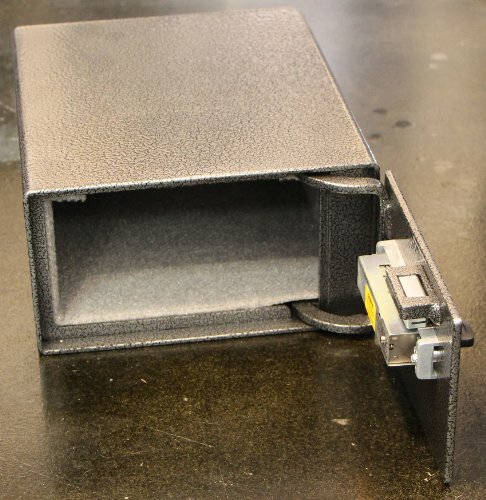 This is why many safes are created with lined foam inside to prevent them from such scenarios. Weight – this is another important feature of a safe. The heavier your safe is, the more secure it becomes. Safe’s that weigh less than 300 pounds can be easy to carry out of the house, unlike a safe with more than 500 pounds. A heavier safe makes it hard for thieves to lift it from the house and is very ideal for a house gun safe. Gun safe locks with key or Electronic lock gun safe? Type of lock – the kind of lock to have heavily relies on whether you’ve a large gun safe or small gun safe. If you’ve a small safe, then a manual lock is suitable for you. This is because a small safe can be easily accessed by mounting it at your bedside. And for better security, it’s great to maintain its manual lock. While in the case of a larger safe, an electronic lock should be used. It ensures that you instantly locate your firearm in case of any attack. In addition, the lock can be as well determined by the job of the safe. If it’s for keeping your firearm, then you need a quicker access lock. But if you are using your safe to keep your firearm and not for protection, a safe with a key lock is great. Biometric is another popular safe where fingerprint is use to open the safe. Ability to Anchor – for security purposes and in case of a breakage in your home, a safe should be heavy or have anchors to weight it down. Several gun safes come with pre-drilled holes to be bolted down to the floor. This is additional protection and ensures that the safe is grounded in case of theft. If the safe doesn’t have such holes, you can get in touch with the manufacturer and inquire if you can drill holes into the safe for anchorage. Price – sometimes the price of the safe is overlooked as being expensive or very cheap but it’s a key factor. 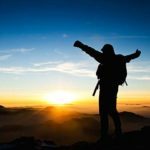 One thing you should understand is that great quality comes at a cost. Therefore, if you want a very secure and high quality gun safe, you will have to spend more. Cheap gun safes are not that effective and lack some of the important features. When buying, ensure you acquire a quality safe that will protect your gun and other valuables. Resistant to fire – a good gun safe should be made of a high quality material that is resistant to both water and fire. These are unavoidable most of the time. Since their prediction is almost impossible, it’s better to have a safe that protects your valuables from such unforeseen circumstances. A safe that is fire and water resistant costs more than a safe without this feature. Alarm – another added advantageous feature that a gun safe should have is the alarm. 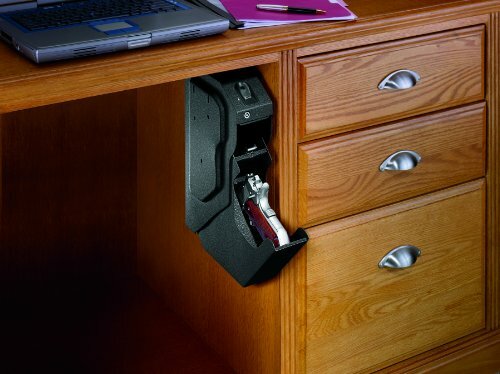 Though not a common feature in most gun safes, it is very crucial. The alarm alerts you, especially when you’re at home and someone is trying to access your safe. For instance, your children trying to find out what’s hidden in the gun safe? Room for storage – Before you purchase your next gun safe, consider the room or space you’ve for keeping it. As you buy a safe for storage of your different firearm collection and other valuables, ensure that it is big enough. This makes things easy for you with the available space to keep your valuables as they increase over time. Material of the gun safe – this is one of the most important factors to look at while purchasing a safe. If you want a very secured and durable gun safe, it should be made of a heavy material such as strong steel. Look keenly at the specifications of the safe as some safes are made of steel that can be easily broken into. A suitable material for the construction of the best gun safe should be a 10-gauge steel. Brand – Stack on, Cannon, Liberty Gun Safe etc are popular brand. It’s a legal requirement that if you own a gun, you should have a gun safe to keep it locked and away from burglaries or kids. Sometimes, a person may steal your firearm and use it to murder someone. This may lead to your imprisonment as the gun may be registered under you. A gun safe ensures that the gun cannot be accessed by children as they might use it without much knowledge and cause harm to themselves or other people. As well, it can be stolen by thugs and use it to carry out assaults, hence a safe prevents some of these cases from happening. When getting an insurance cover for your firearm, most of the insurance firms give you a commission if you have a safe to lock it up. Thus, a safe can save some cash for you and protect your gun. The American government is attempting to take guns from citizens. But if you own a gun safe, it can assist to secure your 2nd amendment rights. And as an American citizen, you are allowed to have a gun. If you own a gun, it shouldn’t be known to many people. This is because most burglaries are executed by people that know you very well. When your gun is not protected, they can use it to commit a crime and impose it on an innocent person. Most people buy guns to offer them security. Hence, when selecting a safe, ensure it has easy access in case you need it during an emergency attack. A quick gun safe enables you to obtain your gun at a glance from its safe and at the same time store it when not in use. A good number of gun owners possess more guns than the insurance can cover. Many insurance firms cover guns with a worth of not more than $3000. If your firearms are worth more than this amount, then having a gun safe can ensure that you keep your guns and valuable items away from water, fire and burglary. After going through different key features before acquiring a safe, you can now check the top five gun safes that we selected for you from the market. Most of these gun safes have fair prices, and crucial elements that any quality safe should have. 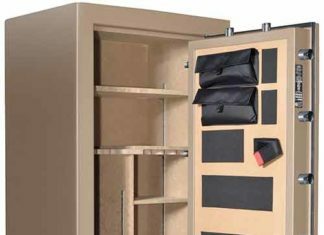 If you are looking for a gun safe that can be accessed quickly and easily in the hour of need, then the Fort Knox pistol is suitable for you. It is perfectly designed and you can apply it to keep your valuables both in the house and in the car, whether it’s a gun or money. It has hinges which are spring assisted so that it can open a bit faster. As well, it has 1081 user combinations. The Fort Knox pistol safe is built using a heavy 10 gauge body and a plate door to ensure that high security is provided. In addition, the gun safe appears to be extremely protected when bolted to a strong surface which will definitely cause problems to a thief trying to gain access. Lastly, the manufacturers of this safe offer a lifetime warranty to its buyers’ which is unlike most of its competitors. This safe is very simple but effective in its performance. It can be placed in various places such as in your house or in the car. The safe is very secure as its constructed using steel which is a durable and solid material. It is also a quick access pistol safe. The buttons on the safe are backlit and makes it easy to open the safe when in dark places. It consists of high compression foam and a pry resistant top lid design. As small as it appears, the gun safe can store your gun and a few additional magazines as it has some extra room. Finally, the SentrySafe pistol safe is constructed using solid steel that provides a hard time for burglars. Our top selection is the Gunvault SV 500 gun safe. It is small in size with almost all the features that a great safe should have. 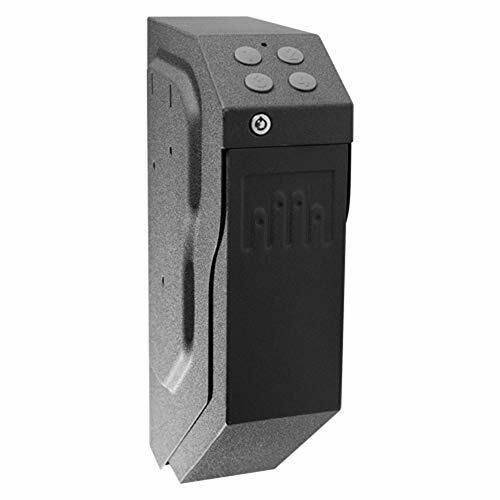 With its digital keypad, this safe allows you to quickly access your gun. In addition to this feature, it has an activation drop down drawer to facilitate quick entry. Another element of this safe is its backup override key. For greater security, it’s built using an 18-gauge steel with an inclusion of a protective foam lined interior that ensures your gun doesn’t get scratched. It has a great design of a pistol holster with a lock and hardware is included as well. This safe can be used in homes, cars or in other forms of business as it has several mounting alternatives. One of the best things about the Gunvault SV 500 is that when you purchase it, the manufacturer provides you with a 5 year exclusive warranty. If what you demand is a gun safe with several features, then choose the Gunvault GV 2000S multi vault standard safe. It has a great design and thus, can be mounted anywhere be it in the house or in your car. In addition, it has great fittings which are almost impossible to pry open with different hand tools. In case of an unauthorized person tries to access the gun safe after several attempts with an invalid key; the built-in computer automatically blocks access. It as well has a protective lined foam interior to secure your valuables from being scratched. For greater security, the Gunvault GV 2000S comprises of a high strength lock mechanism and is made of a 16-gauge steel. Its interior is wide enough to store other valuables apart from the gun. Last but not least, it has learning buttons that make it simple to program over 12 million user selectable entry codes. 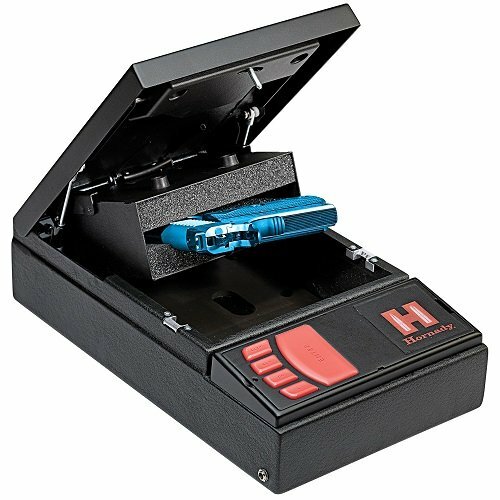 When you’re looking for one of the most secure gun safes on the market, you should go for Hornady security rapid safe. It is very suitable to use when you have kids at home. To begin with, it has a child-resistant design which is outstanding. It is easy to access as it is touch-free. With the multiple entry options, the gun is at all times safe and ready to be used. One of the features that make it to be very secure is the heavy duty materials that it’s made of. It comprises of a 16-gauge steel material and a heavy duty dual-lug locking system. 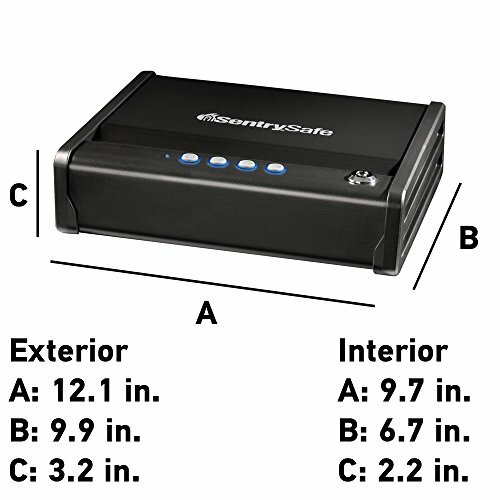 This best gun safe has the ability to open at a blink of eyes with the patent-pending Radio frequency identification (RFID). It was the first safe to use the RFID technology that enables instant access of the safe. Similar to other top gun safes, if you register it online, you are given a lifetime warranty. In conclusion, a gun safe is a very essential tool that every gun owner should have. Possessing it comes with several advantages such as commission on insurance and secure from kids and theft. Most of the people who have used the safe advise other users to buy a bigger gun safe. Also, key features should be observed when selecting one. I hope you have gotten your answer after reading this Best Gun Safe Reviews. You can comment below for more information.